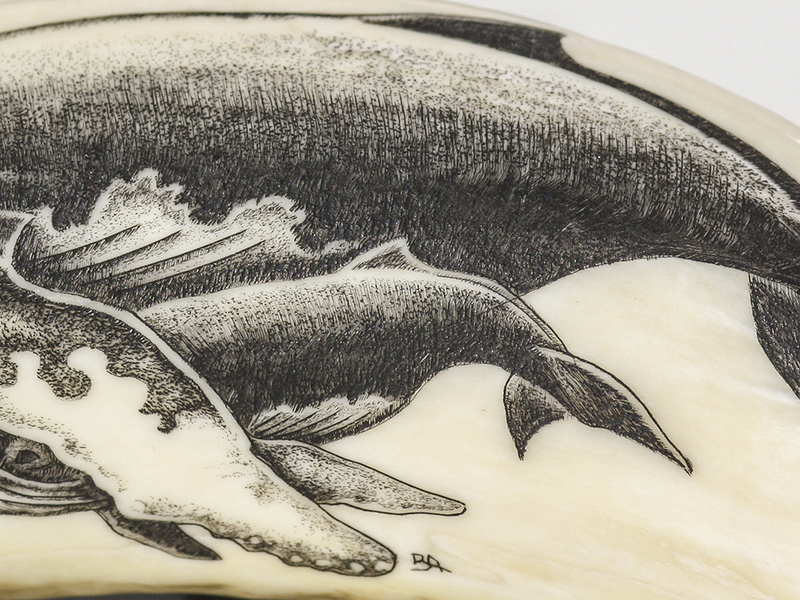 ‘Humpback Whale Cow and Calf’ black and white scrimshaw on whale’s tooth by Brad Aumick. 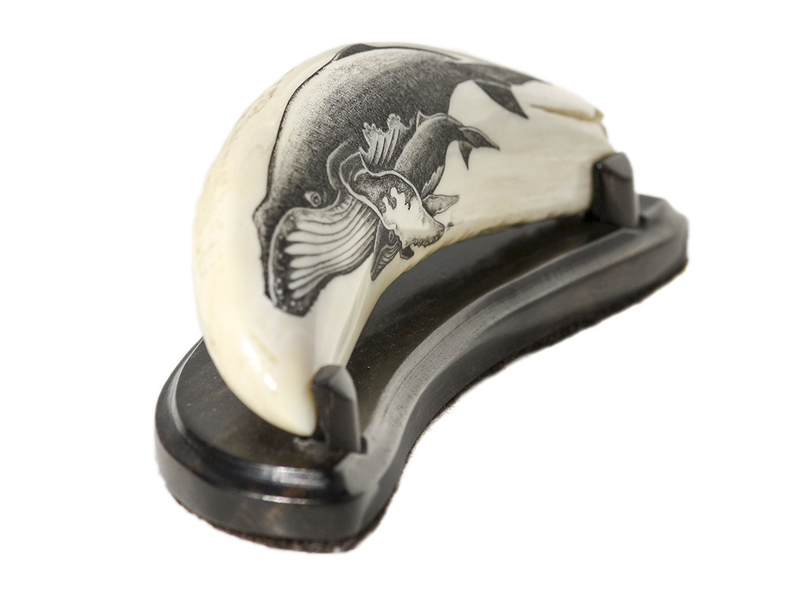 Excellent composition by Aumick on this tooth. 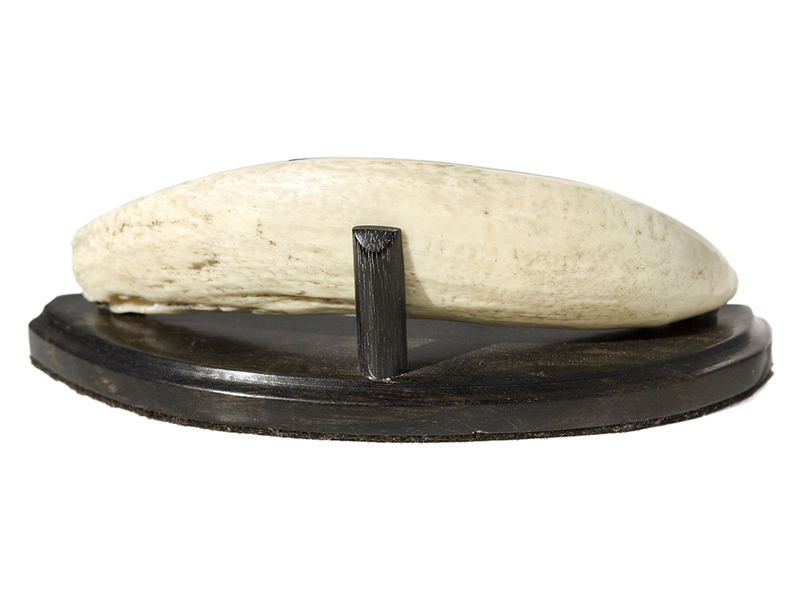 Note how he used the natural shape of the tooth for the protective cow and calf scene. Well done, indeed. 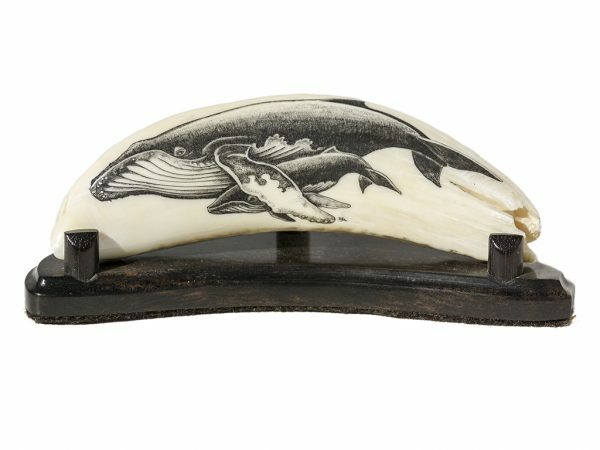 Mounted on a classic stand by the late Ken Fredericks, this is from the collection of one of our long time clients who is not longer with us. Fine work at 1980s prices. 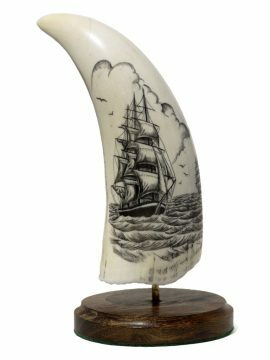 This scrimshaw is done on a sperm whale’s tooth. 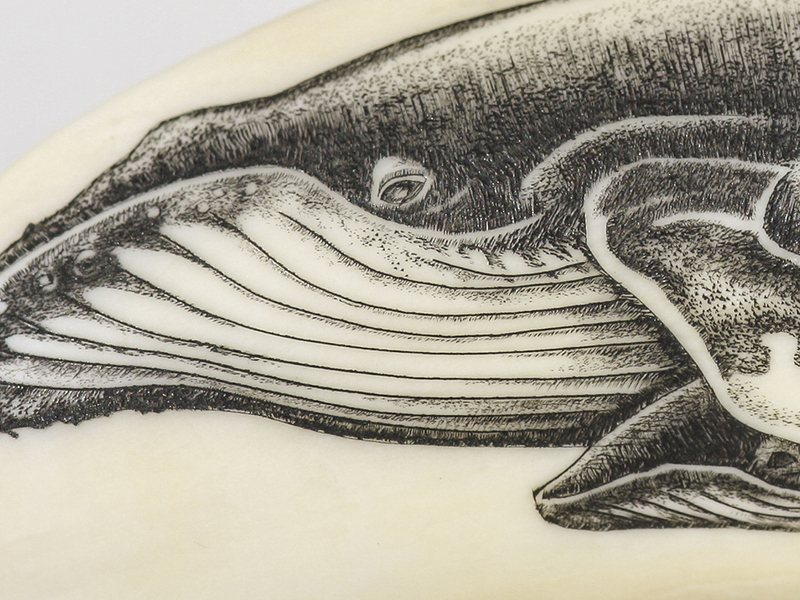 Federal legislation bans the interstate shipment of whale ivory. It can only be shipped intrastate (within the state). All of our whale ivory is located with our associate in the state of Ohio. 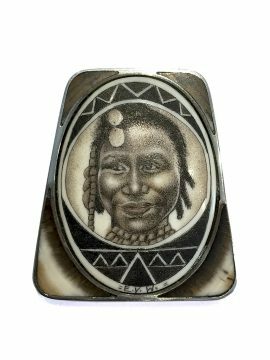 It can be purchased directly from our website and shipped only to an address within the state of Ohio. If one has a relative, trusted friend or business associate within the state of Ohio, we can ship to that specified address in order to comply with Federal legislation. 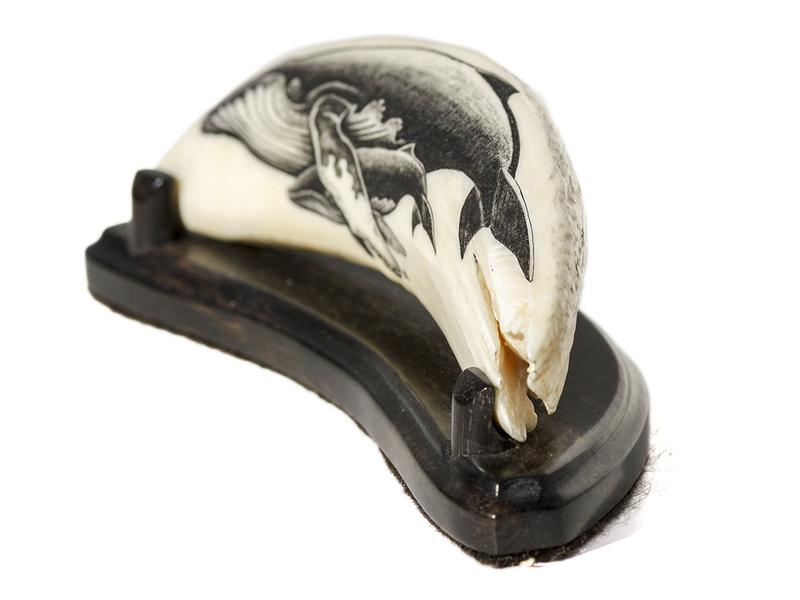 The scrimshaw can then be forwarded it to you and everyone complies with the law. Any questions, email or call us.